3-pack (3x 4 fl.oz.) supercharger lubricant for Vortech and Lysholm 1600 superchargers. 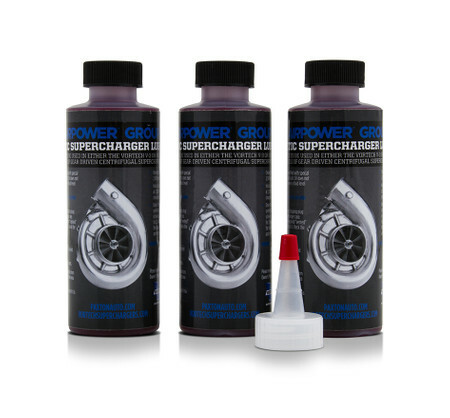 3-pack of supercharger lubricant for supercharger systems with Vortech and Lysholm 1600 superchargers. Regarding the correct fill volume please refer to the maintenance notes of your supercharger system. Generally one bottle equates to one fill.